You don’t hear much about poisonous fish, but there are actually more poisonous fish in the world than venomous snakes. These fish usually release their venom through spines on their fins and tails. If you step on them or brush up against them, watch out! You’re in for a painful – and sometimes deadly – surprise. 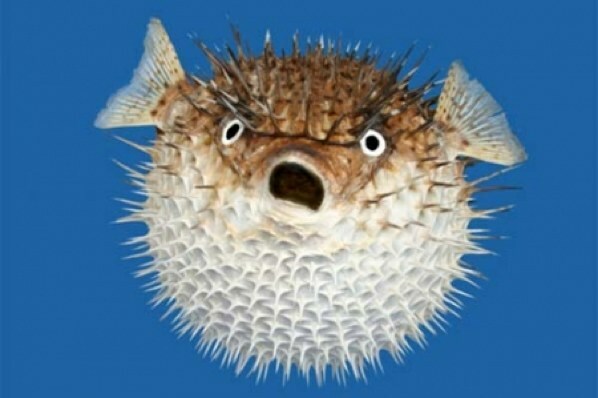 Puffer fish, or blowfish, are covered with toxic and poisonous spines. Puffer fish, or blowfish, are covered with spines. When they feel scared, they blow up to more than twice their size. The spines stick out, making the fish look like porcupines. The spines aren’t the only part that’s toxic. Some puffer fish release poisons into their bodies when they die. If an animal eats them, the animal becomes sick. Some chefs in Korea and Japan are specially trained to prepare puffer fish so it’s not dangerous. One mistake, though, could mean big trouble. 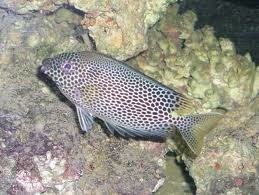 Rabbit fish, scorpion fish and zebra fish all have venomous spines on their tails and fins. A sting probably won’t kill you, but it is very painful. Stonefish are tricky creatures. They’re usually brown, tan or gray and they’re covered with lumps. They hide on the ocean floor, where they look like a rock or sand. If you step on them, they inflict a painful or even fatal sting. 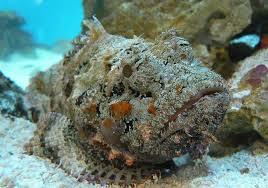 Toadfish, like the stonefish, hides on the ocean floor. It won’t kill you, but if you step on it, it causes a nasty sting. 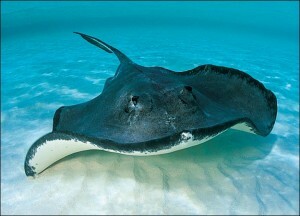 Stingrays have poisonous barbed spines in their tails. Rabbit fish has venomous spines on their tails and fins. A documentary about the different poisonous fishes in the Pacific Coral Reefs. Stonefish hide on the ocean floor, where they look like a rock or sand. If you step on them, they inflict a painful or even fatal sting. Question: Where do poisonous fish live? Answer: They can be found almost anywhere, but most of them live in warm, tropical waters. Toadfish won’t kill you, but if you step on it, it causes a nasty sting. Question: Should I worry about poisonous fish when I’m at the beach? Answer: Fish are shy and won’t intentionally attack you. 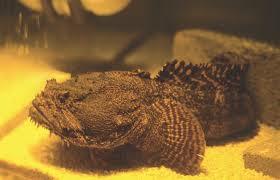 Wear water shoes if you’re swimming in an area with stonefish or toadfish. Enjoyed the Easy Science for Kids Website all about Poisonous Fish info? Take the FREE & fun all about Poisonous Fish quiz and download FREE all about Poisonous Fish worksheet for kids. For lengthy info click here.